Plush with a capital "P"
These MF towels are amazing. 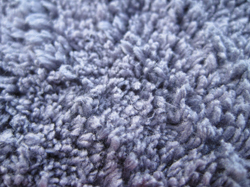 Incredibly soft, as plush as you could ask for. They are perfect for QD or spray wax use. They're almost too absorbent for that. It seems like I use more product with these. These would be great for rinseless wash, too. I don't give five star ratings very often, so you can consider me very impressed! ProsExtremely plush. Nice satin edges. They stay folded into quarters without rolling over. 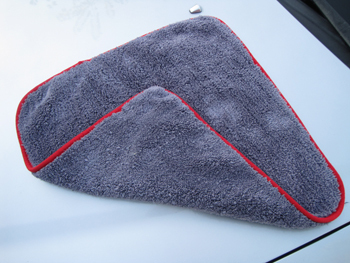 They leave a very nice finish when used as a final wipe towel. They are a decent value. They come out of the dryer perfect, no curled edges. ConsWell, they're not exactly cheap, but you get what you pay for with these. have spent hundreds upon hundreds of dollars on microfibers and these are my favorite! Crazy soft, no lint, my go to for quick detailers and rinseless washes. I have used them all on my black caddy. 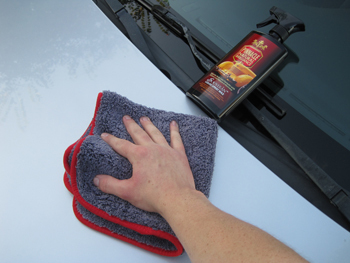 with this towel iI just dont need to wax anymore , just buff it off daily and it keeps getting shiner and shiner without leaving any marks what so ever ,---the best towel ever !!!!!!!! Try it yourself and see the difference !!!!!!!!!! Wonderful product, soft and thick !! I love it !! These towels are just awesome. Cuts my buffing/wax removal time down considerably. Never experienced this towel "separating" or "linting" as others have said. And this is after several washes with Pinnacle MF rejuvenating liquid. I have 8 of these towels now, and they are always my go-to. Great product.